If you're looking for a relaxing get out of town road trip you just found it! This top floor corner unit has vaulted ceilings, sky lights and a marvelous view of the main channel from the Kitchen, living room and Master bedroom. The unit upgrades for 2012 include a new Heating and Air Conditioning system, dishwasher and range. Nestled on the 3.5 mile marker the Woodcrest complex is a smaller and friendly complex! No Hustle Bustle here. Just hop in your car after work on a Friday and you're here in time to take a soothing night time dip in the pool! Its an easy 2-2.5 hour drive from the metro St. Louis and Kansas City areas. Spend the day relaxing at the lakeside pool or fishing from the docks. Work up an appetite and grill lunch or dinner on the Deck and just enjoy the view. It's easy to make an ordinary weekend a 3 night stay from here! Stay Sunday and have the place to yourself from noon on! Then leave early Monday and be back in time to hit the rat race fully recharged from a 3 night getaway! What a great condo! Excellent views right on the water - great deck - close to pool. Quiet community. 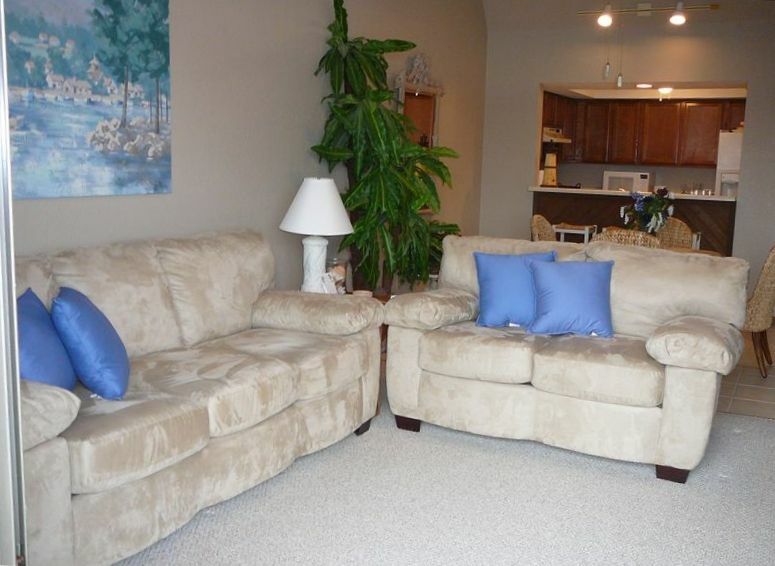 The condo is very clean and has everything you need! The owner was great to communicate with - we hope to be back soon! Great views! Had everything we needed! We loved our stay! It was so homey and they had everything we needed for a great vacation! We'd definitely go back! A little hard to find so be careful listening to your GPS! Especially if you're pulling a boat! No where to turn around. Once there though, it was very clean and comfortable. A/C worked great! Great view of the lake! Washer & Dryer came in handy too. We spent the weekend there and it was wonderful. The condo is clean and nicely furnished. It has everything you could possibly need in it. It has a very nice balcony with a spectacular view. Sunsets were amazing. The owner is the best I have ever dealt with. Answered any questions or concerns immediately. My son left an expensive dental appliance at the condo. He had the cleaning lady (Kelly) go back and call me personally so we could find it. She did find it and she mailed it back to us. The owner is concerned that everything is ok and your enjoying your stay. I would recommend this condo to anyone visiting the lake. I plan to use it on all our future visits.